Check out this amazing charity and a B.A.F.F.L.E.D. Favorite! All proceeds benefit Bottomless Closet and the work we do for women in need. 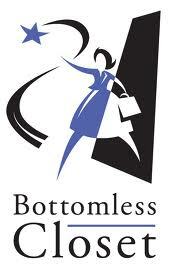 Take pride in Shopping at Bottomless Closet! We need volunteers from Tuesday to Friday to help with administrative tasks and to work closely with clients. clientservices@bottomlesscloset.org if you think you can help. We are also looking for active, involved board members. If you wish to be considered for this important volunteer activity, please contact Jude at 312.527.9664.